After all the crocheting and knitting I did this past winter, I had a lot of partial skeins left over. I wanted to make something to use up all the little bits of yarn. 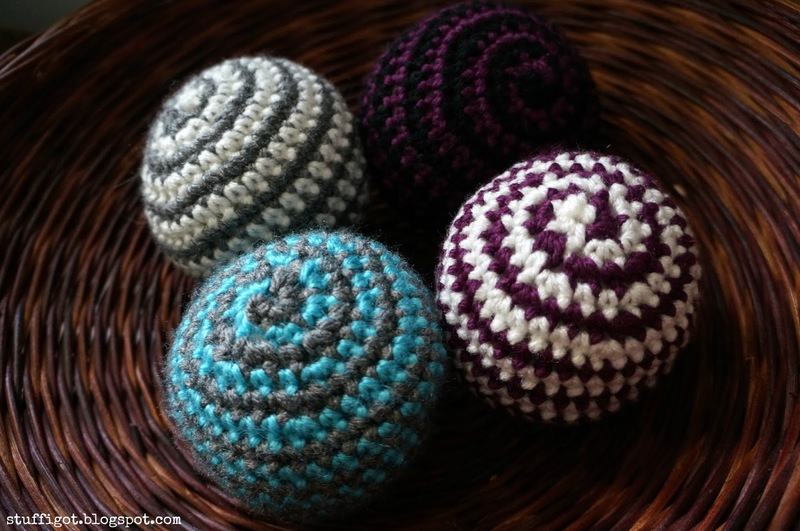 I found this great free pattern for Spin Balls on Ravelry. 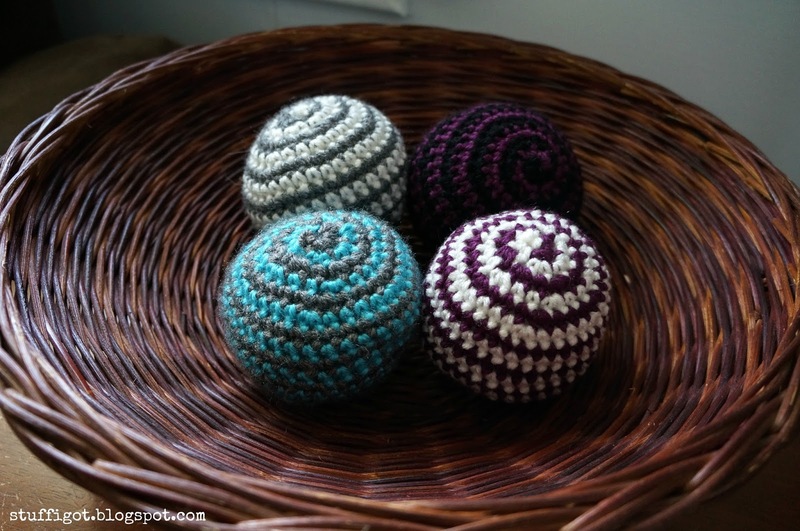 The pattern was really easy and you can use any weight yarn with its appropriate size crochet hook. I made mine in two colors, but you could use even more. 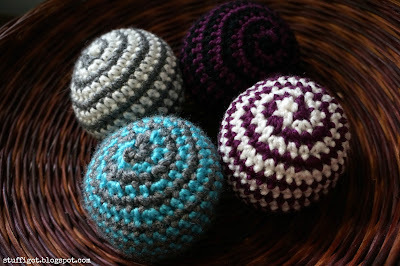 You can even make some of the stripes wide and some narrow. 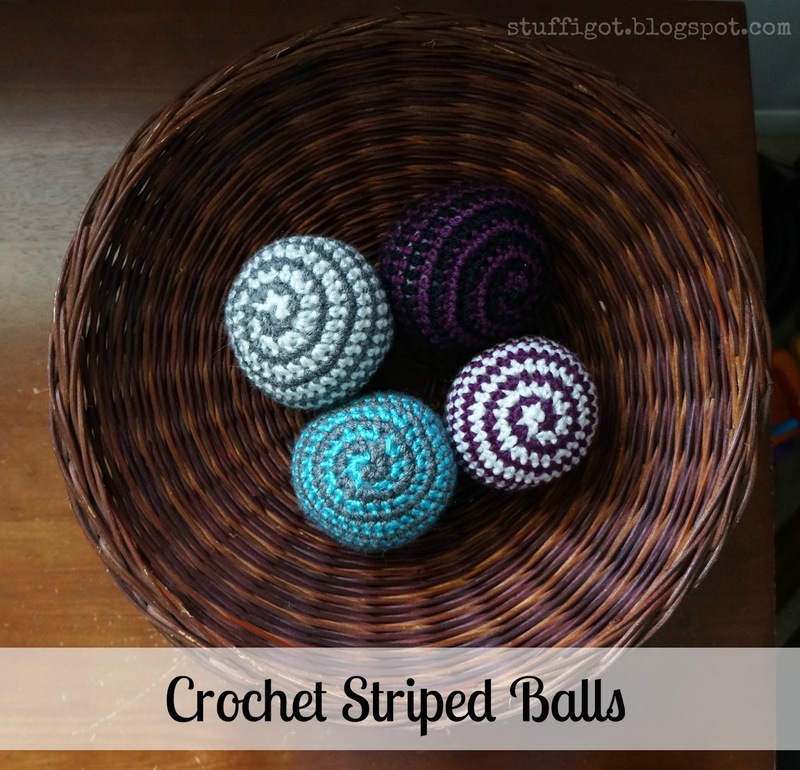 I'm hoping to crochet a few more to fill up this basket to place on our new coffee table! I used worsted weight yarn and an H hook, though I probably should have used a G hook. Some of my balls had some of the stuffing showing through. A smaller hook would have given me tighter stitches. Overall, though, I think they came out really cute!